The Czech media sector has often won international praise in the past for its freedom and independence. But some in the country are questioning whether that is still the case following the acquisitions by billionaire businessman, ANO leader, and current minister of finance, Andrej Babiš. The biggest centre-right opposition party in parliament, TOP 09, is seeking to make media ownership an issue in the upcoming European elections. Andrej Babiš, photo: Filip Jandourek This week TOP 09 leaders gave their support to a European-wide petition calling for the European Commission to push through strict rules on media ownership which would prevent media moguls grabbing too much power and influence. 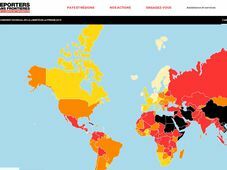 The European petition is being led by such organisations as the European Federation of Journalists and around 100 civic groups across the continent. If the campaign gets one million signatures in sufficient countries then the European Commission will have to react. As well as ownership rules, the campaign wants guarantees that national media watchdogs are independent of political power and clear definitions of conflict of interest to make sure that the media moguls do not occupy high political office. TOP 09’s aim is to collect at least 16,500 signatures in the Czech Republic. Karel Schwarzenberg, photo: Filip Jandourek TOP 09 leader and former foreign minister Karel Schwarzenberg said at the petition’s launch that a mixed and independent media is a guarantee of democracy. He and other party leaders have not singled out Andrej Babiš specifically for attack, but he is clearly one of the unnamed targets of their campaign. 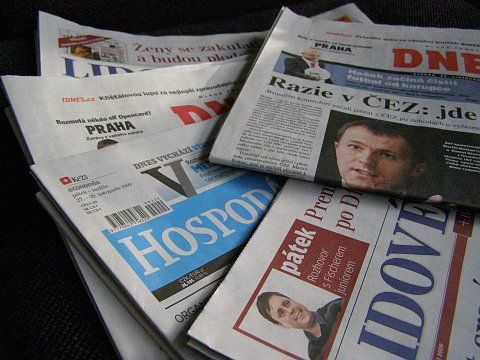 Babiš currently owns two of the Czech Republic’s quality daily newspapers, the biggest selling broadsheet Mladá Fronta Dnes and sister paper Lidové Noviny, as well as one of the most popular commercial radio chains, Radio Impuls. He is frequently rumoured to be casting his eye on television chains. 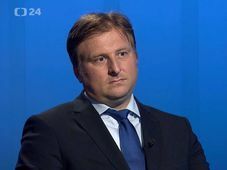 Although sometimes dubbed the Czech Silvio Berlusconi, Mr. Babiš says he does not interfere in the day to running of his media businesses. Indeed, Wednesday’s edition of the daily Dnes carried a report of how close associates of Babiš’ agro-chemical group Agrofert have filled top posts in the finance, transport, environment ministries where the ANO party is dominant. But the paper has also led a campaign against Prime Minister Bohuslav Sobotka over the past privatisation of the OKD mining group and frequently appears to get stories thanks to close contact with the Ministry of Finance. 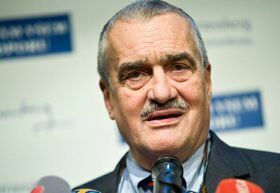 Babiš’ ownership led to the exodus of many journalists at both papers. Media ownership is a very delicate issue at the national and European level. The European Commission attempted once before to get to grips with this issue in the mid-1990’s but did not get too far. The commissioner responsible was the Italian Mario Monti - and he had been sent to Brussels by none other than Silvio Berlusconi.